Create your own beautiful fused glass 1.5 x 5.5 mezzuzah. 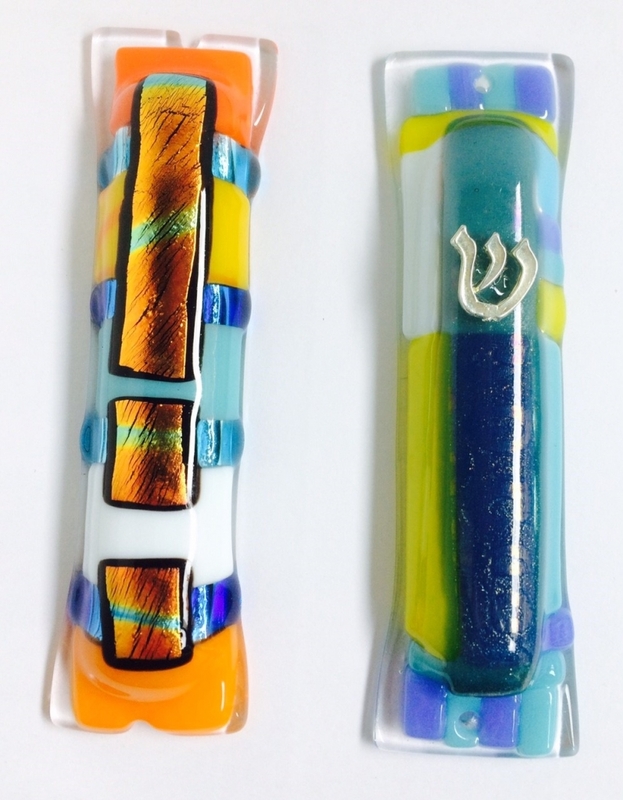 You will learn the basics of glass fusing and then design and create your very own mezzuzah in any color scheme or pattern that you fancy. There will be space for a scroll in the back, but we do not provide the scroll. There will be a notch in the back for easy hanging. This is a great gift or perfect for your own home.